quick question, is there anything better than a shower or bath after a long day in the hot sun? my answer is no unless a jacuzzi comes first. but what are you doing to salvage your skin from the love/hate relationship we have with the sun other than our spf laden lotions? my go to is exfoliation. if you know anything about me you know i'm not big on pushing product but since i've started exfoliating, my skin is softer, more hydrated and just looks better in general. i like showers in the morning and save my bath for evening if i can fit one in. so, give this a shot. 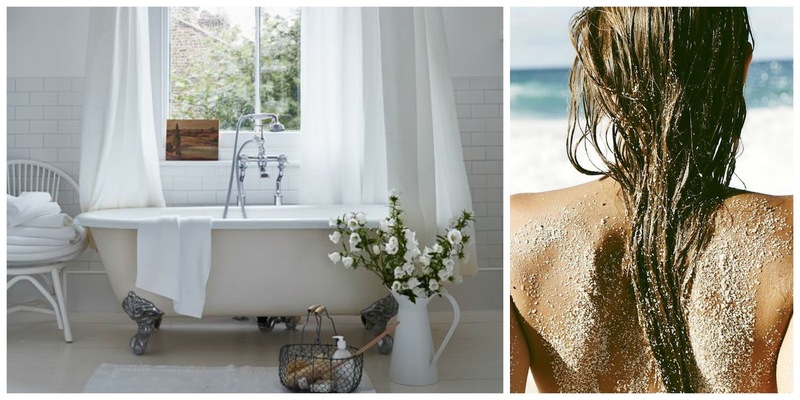 fill your bath with epsom salt for fatigued paddling muscles or a few drops of lavender for the calm it offers then give yourself an all-over scrub. 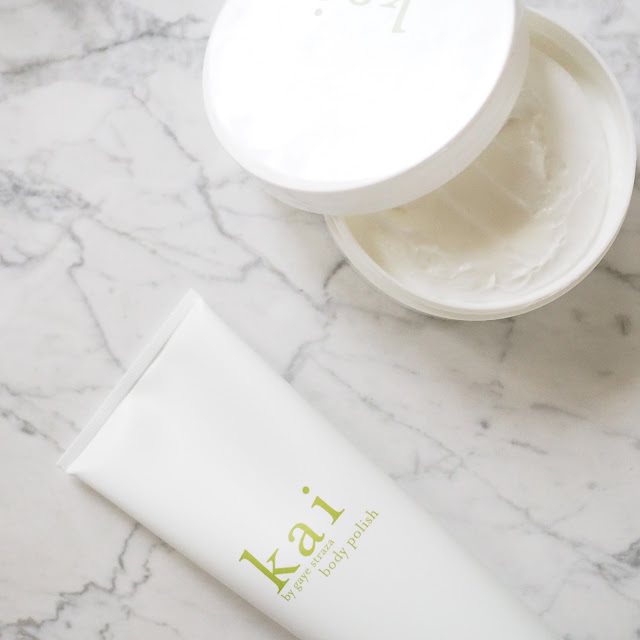 obviously, i like kai body polish because of the gentleness that comes from the salt/sugar combination. followed with a super nourishing lotion or butter is a must and putting it on skin while still slightly damp is even better. summer is winding down, there's no reason your skin should look like it's been scorched by it.